This appellation covers a vast area of 3000 hectares divided into 49 vineyards from Aix en Provence to the beginning of the Alpilles eand including "l'étang de Berre". 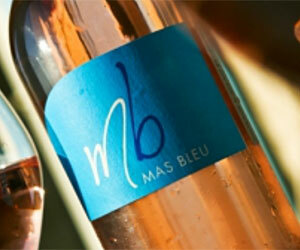 The wines are split into roughly equal parts between rosés (52%) and reds. Characterised by young vines usually less than 20 years old, the vineyards of the Coteaux d'Aix offer some strong, intriguing reds. 18th century chateau, listed as an Historic Monument. Guided visits in English or German on request. Wine tasting. 18th century Provencal house. Cooking courses, art exhibtions, Bed and Breakfast. Guided visits in English if requested. Wine tasting. Superb chateau complete with gardens and fountains, 5 minutes from the centre of Aix. Daily visits. Built in the 18th century, this beautiful chateau is surrounded by a magnificent park. Garden tours, winetasting nearby. Properties and wine cooperatives AOC "Coteaux d'Aix"
This tiny appellation of only 12 hectares is situated in the districts of Le Tholonet and Meyreuil a few kilometres from Aix en Provence. Jadis crée par les carmélites à l'époque médiévale, le vignoble est aujourd'hui exploité par deux propriétés. Joyau d'architecture du XVI° avec jets d'eau, fontaines et beaux jardins. Dégustations et visites sur rendez vous uniquement. 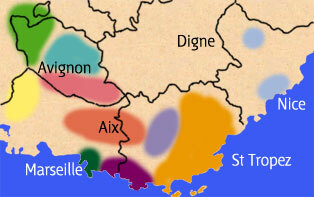 Properties and wine cooperatives AOC "Vins de la Palette"